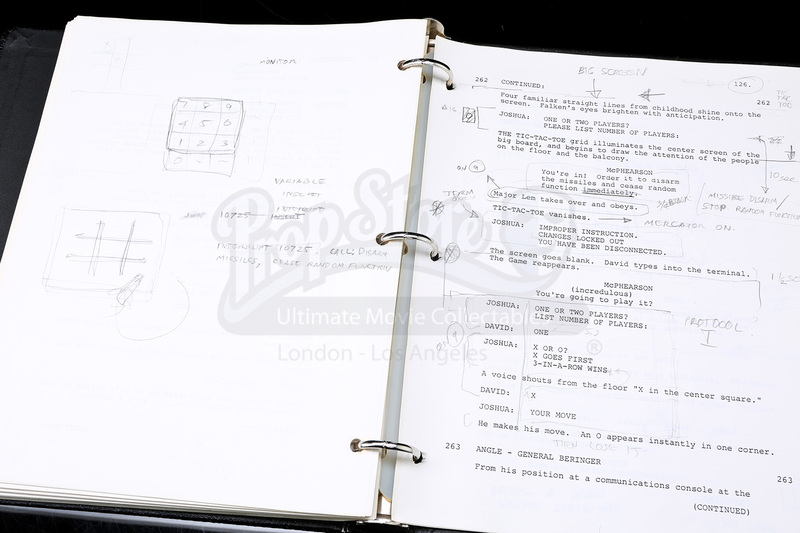 A final revised draft script used in the making of John Badham's 1983 sci-fi film, WarGames. 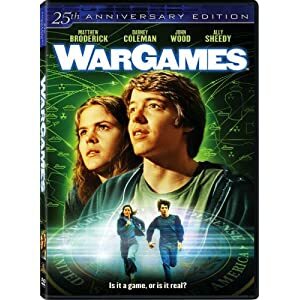 In the film, high school student David (Matthew Broderick) hacks into a military computer, and accidentally triggers a nuclear missile crisis. 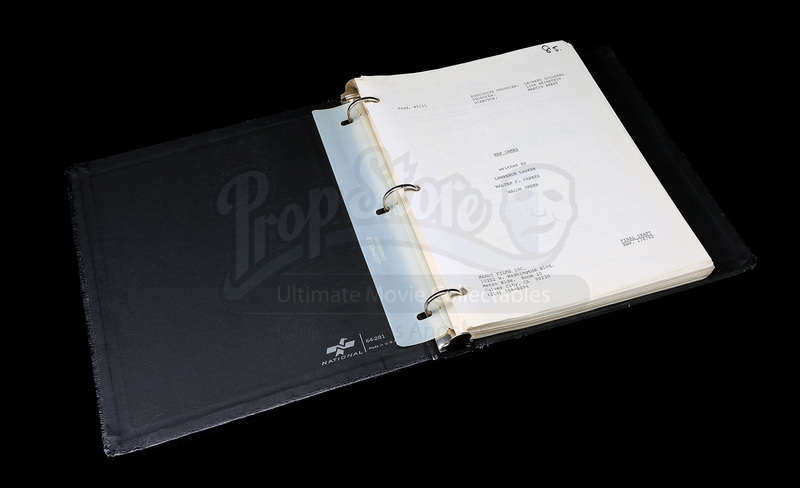 Dated January 6, 1982, this script features 132 pages of dialogue and is held together in a black binder. 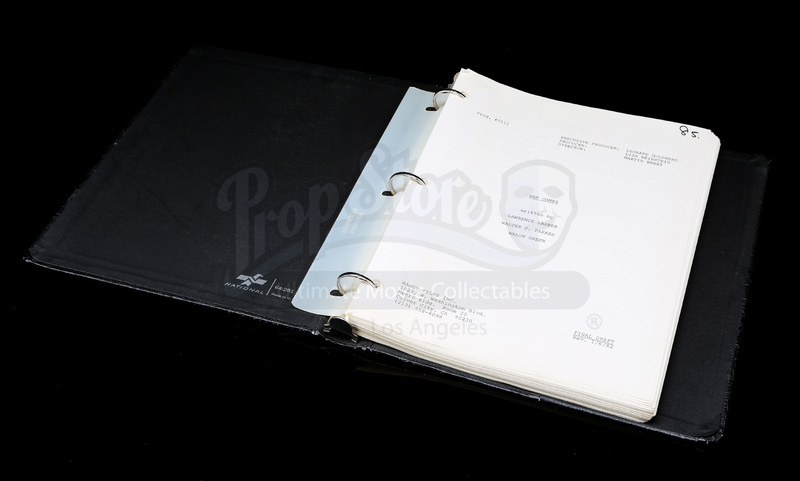 Also featured are a number of handwritten annotations and sketches made on multiple pages throughout the script. 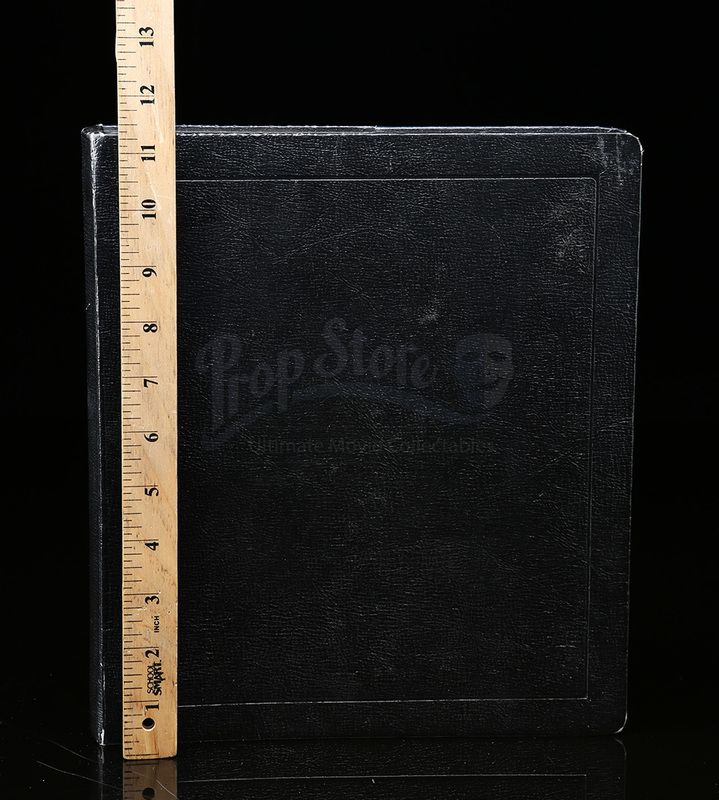 The script itself shows minor wear and the binder it's held in shows some wear from storage and age, but the piece remains in very good overall condition.